I'm passionate about personal safety and love watching students, especially women, discover their power and the ability to defend themselves. My self-defense classes provide attendees with tested skills and techniques, yet I treat the serious subject of safety with humor and acceptance. I attended a free trial Krav Maga class with Alpha Krav Maga Boston’s Dennis Amato in June of 2004. 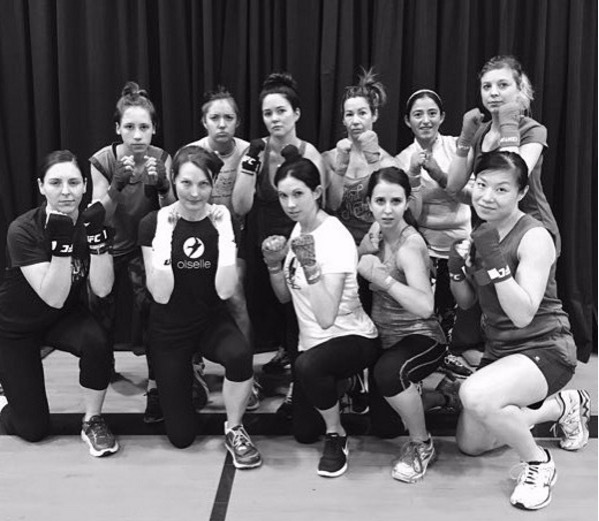 I immediately fell in love with the intense workout and no-nonsense self-defense techniques and have been an avid student of Krav Maga ever since. In 2010, I began teaching as an apprentice instructor with Dennis Amato and Karen Armato. I became a certified Alpha Krav Maga instructor in early 2014. My work has taken me to the Middle East, Central America, India, Nepal, and Haiti. My travels enhance my self-defense classes through the application of real-world scenarios. I teach all across the word. My most recent sessions were in Fond des Blancs, Haiti and Kathmandu, Nepal. Teaching self-defense to Haitian women employed by Haiti Projects.